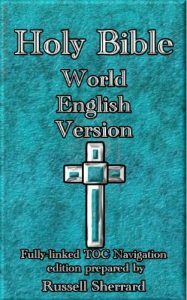 The World English Bible (WEB) is a Public Domain (no copyright) Modern English translation of the Holy Bible. That means that you may freely copy it in any form, including electronic and print formats, without having to pay royalties. 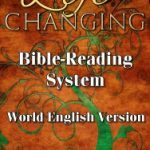 The World English Bible is a language update of the American Standard Version of the Holy Bible first published in 1901, with original language texts diligently compared.